I love the beauty & grace of swans & the many rich shades of blue in the water. The Lord made swans such graceful creatures. 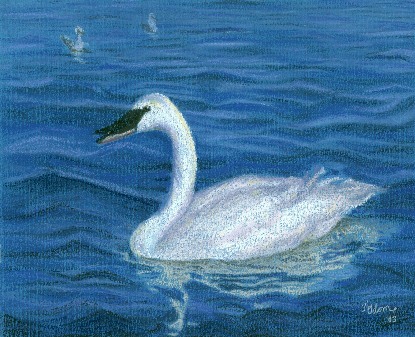 This is a painting of a regal trumpeter swan in January on a small lake in Texas.